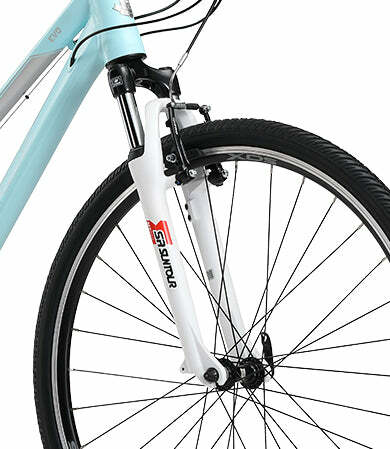 Go for an adventure in any terrain with the XDS Ladies’ Evo hybrid bike. 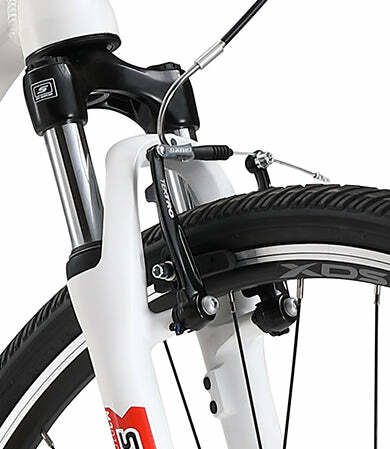 Hybrid wheelset and Suntour SR M3010 suspension offer a sturdy ride off-road. Hydroformed Alloy frame is lightweight and stiff for efficient riding in any environment, and the low-step-through design simplifies mounting and dismounting. Command the hills off-road with the 16-Speed Shimano Altus Drivetrain. Support yourself riding through any terrain with the XDS Ladies’ Evo, a hybrid road and mountain bike that borrows the best features of both. Capable on road and off, the Evo lets you transition from smooth pavement to rough track seamlessly. Handling rough terrain is a cinch on the Evo, with Suntour M3010 suspension forks that dampen the rocks and jolts that come with riding through tough Aussie trails. The 700Cx40C wheelset is taller than a mountain bike rim, with a tyre width sitting comfortably between a mountain and a road bike. Experience the best of both worlds: efficient pedalling and less rolling resistance on road, and greater traction and control off. The Evo is constructed around a lightweight and stiff alloy frame that is moulded through hydroforming. A light frame is valuable for both on and off-road riding, offering greater control and manoeuvrability. With the stiff 6061 aluminium alloy, you’ll discover a more efficient power transfer through pedalling, and less energy lost to the flexion of the frame. The Ladies’ Evo features a low-step-through frame for simple mounting and dismounting. In any terrain you’ll enjoy the variety of a 16-Speed Shimano drivetrain featuring EZ-Fire Plus shifters with integrated brake levers, and Shimano Altus derailleurs. Find the right gear ratio to maintain a consistent cadence through any level of incline. Experience even greater control of your speed with the reliable front and rear Tektro ‘V’ Brakes. No matter where your ride takes you, combine travel, fitness, and leisure with the XDS Ladies Evo. 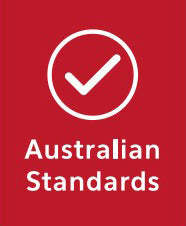 The manufacturing process known as hydroforming allows us to mould stronger metals more easily. The resultant 6061 aluminium alloy frame is both light and stiff, making it more manoeuvrable and more efficient to ride. 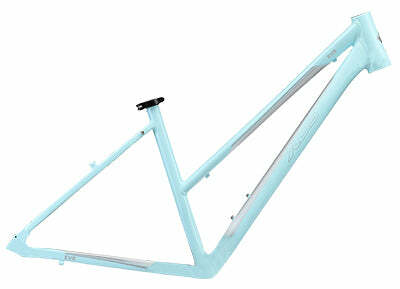 The ladies’ Evo features a low-step-through design to the frame for easier mounting and dismounting. Feel comfortable taking the Evo off road with the SR M3010 Suspension Fork from Suntour. Find versatility riding in any terrain with a 16 Speed Shimano Drivetrain. 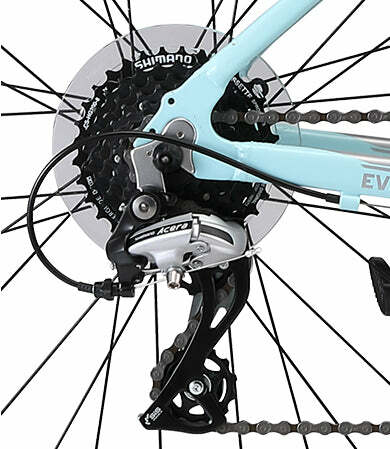 Shimano Altus front and rear derailleurs shift comfortably through 2 front and 8 rear gears, at the command of convenient EZ-Fire Plus shifters. Experience the durable strength of alloy double wall rims. Experience the versatility of a 700Cx40C hybrid wheelset. 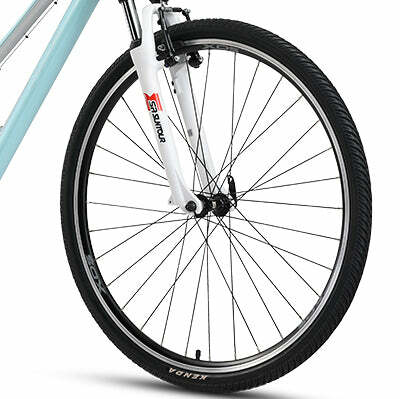 Taller rims support more efficient riding on road, and medium width tyres offer solid traction off-road without too much roll resistance on road.